It’s hard in the heat of any given moment to tell flash-in-the-pan hits from songs that will last. But from the distance of almost fifty years it’s safe to ask: who were the great songwriters of the 60’s? Dylan, Lennon/McCartney, Marvin Gaye and all the Motown guys, Joni Mitchell. 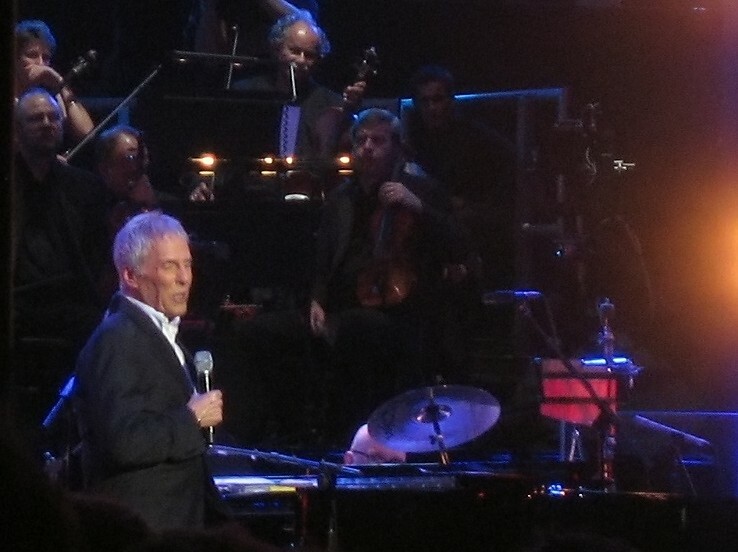 And Burt Bacharach, who may be the greatest of them all. This is not readily apparent to most people, who if they recognize him at all know him as that goofy guy in Austin Powers, the epitome of unhip. His reputation for unhipnesss comes because he had the misfortune (if you can call a songwriter with 60 Top Forty hits and their corresponding royalties unfortunate) to ply a gentle musical style that by the end of the raucous ‘60s was practically inaudible beneath the deluge of screaming guitars and a screaming Janis Joplin. Burt favored lulling bossa nova grooves, murmuring flugelhorns that luxuriated on couches of velvet strings, and choirs of heavenly background oohs. The occasional electric guitar was never turned up past one. The only edge to the sound, if you could call it that, came from his front woman, Dionne Warwick, but it didn’t come from her shouting. What was sharp was her passion. Harmonic progressions made of odd turns that still arrive with the thrill of the unexpected after 50 listens. Daring melodies, leaping, twisting, always surprising, and treacherous for any but the best singers. Odd time signatures everywhere, which in any other hands would loudly announce themselves as modern, difficult, avant-garde. Bacharach applies them with such skill that the constantly shifting meters of a song like “Promises Promises” roll past as unnoticed as if he set the whole thing to four-on-the-floor. Good pop songs are excuses for hooks, and the best pop songs are happy to have one great one. Bacharach songs are strings of hooks that repeatedly press the buttons of musical pleasure – that unexpected melodic interval –mm – that extra beat – ah. These songs are of course collaborations between Burt’s music and the lyrics of Hal David. David’s lyrics are highly skilled, clever, witty, and never get in the way of Bacharach’s conjuring his spells. Still, they rarely astonish. Bacharach first hooked me in 1964 with “Walk on By,” and hearing it now still hooks me. There are two great moments in this song – one on the “by” of the title, marking the start of the chorus, and the other on its homonym “bye” at the chorus’s end. (“When you said goodbye.”) The first arrives on the tail of an opening verse as somber as any in a pop song. On the word “By” comes a chord change so unexpected that hearing it still catches my breath. That modulation breaks the mournful spell of the verse, ushering in a mellow horn and freeing the great Warwick to release her sorrow in soaring melody, to our joy. Yet just as you’re feeling – yes, it’s going to be OK - the chorus ends on the bye of “goodbye.” the second magical moment, with the poignance of a major seventh chord in a low register, pounded in jagged, asymmetrical 3/3/2 time, signaling the return of sorrow. Yet even in that sorrow we already hope for another chorus. The cycle of joy and sadness feels inevitable in this song, as inevitable as in life, making the song ring with a deep truth: a Buddhist poem of impermanence, and in a pop song. “San Jose” also mixes bitter and sweet. In this case the lyric carries the loss of a dream, but the music is pure joy, making that burden seem light as a feather. You’ve barely recovered from the delight of that bass/kick drum riff (dunh-dunh-dunh) that sets up the chorus when he hits you with a little study in counterpoint at the end of the second line. It’s as unnecessary to the structure of the song as stained glass is to a cathedral window, but Burt’s interested in more than keeping the rain out, he’s having fun. He scores the riff on organ the first time, then a trio of horns, gently insisting that we share in his delight at this ornament. I regret that shortly after “Walk on By” I got so distracted by the louder charms of Rock in its heyday that I stopped noticing the great Bacharach songs that kept hitting the charts. I started coming back to Bacharach as the hits I’d ignored reappeared as radio standards: San Jose, Never Get To Heaven, What the World Needs Now….and of course Walk on By, which still gave me a shiver every time I heard those first guitar chunks. When I first heard “Alfie,” I did notice, and disliked it, fooled by its gentle lushness into thinking I was hearing the kind of Vegas cabaret junk that was part of the reason we’d had a Rock revolution. It was one of the last Bacharach songs for me to get. When I really listened, I heard past its skin to the heart, a perfect marriage of word and song, a rare case where David’s words rise to the level of the music. Near the end comes the devastating moment “Without true love…we just exist” Warwick singing it like there are no truer words, and as proof we hear chords of utter despair as she finally gives up on him, her last moaned “Alfie….” Many composers in the 20th century mined the veins of dissonance, but few achieved this kind of emotional accuracy. It’s of the realm of Bach and Beethoven rather than tin pan alley. The tragedy of Bacharach’s music is not his –he must be proud of his work, and he’s certainly rich – but belongs to the musical community. The songs are too great to doubt that he was right in presenting those songs in such unfashionable form. But it insured that he would go unheard by most in the musical generations that followed. I suspect it’s one cause for the threadbare state of contemporary pop music. Nothing wrong, I suppose, with growing up worshipping the Ramones, or U2, or Vampire Weekend. Except that a songwriter who’s never heard Bacharach is like a contemporary filmmaker trying to learn watching silent films. In every aspect of music - melody, harmony, rhythm and arrangement – Bacharach has a much bigger palette than any other pop writer, with more colors and textures of paint. And I doubt even the most talented kids coming up are going to dream up all those colors themselves. So songwriters work without knowing all that’s missing from their palettes. They, their music, and we listeners are all impoverished. Looking back, I guess we should be thankful for the pre-psychic Dionne Warwick and the under-appreciated B.J. Thomas. When you think that "Raindrops" entered the public consciousness at about the same time as the first Crosby Stills and Nash and Led Zeppelin's first, and still got through, it's really quite amazing. Bacharach's list is astounding -- an jarringly great if they happen to pop up unannounced. I heard "Message to Michael" the other day, and thought: "Damn, that is a great song." Thanks for reminding us. Great love letter to Bacharach. It made me think of the hit show that's on Broadway right now featuring Bacharach & David's' music. I'm dying to see it and wish I was in NY. Walk On By and San Jose, I love. I could live the rest of my life without ever hearing What the World Needs Now since it got so much radio play I've heard it enough for a few life times. That's what destroyed it for me. Over-exposure. I even feel that way about Satisfaction and lots of others. No worshipping U2 here from me. At all. I don't even know who Vampire Weekend is. And for this, I think, I'm glad. I do love the Ramones for their minimalism, speed and yes, their stupidity. Gotta say I didn't get Bacharach back then and don't now. I bow to your superior musical knowledge but remain unconvinced of the greatness of some of these songs. Some of them are just plain sappy and a little on the syrupy side of things. Not a place I visit very often. DocJohn - If you don't have Warwick's "Very Greatest Hits" it;s well worth it - there all the great ones I remembered, plus some I never heard before, like "April Fools" and "Windows of the world." lschmoopie - Thanks - didn't know about that show. Scarlett - You are absolutely right about overexposure. It's what's kept me from writing about Motown. I LOVED that stuff, but at some point in the seventies it seemed it was all they played on the radio. My exposure to Bacharach is limited, but when I was watching Austin Powers recently, I was struck by what you describe here: the skill and layers and rhythms. I had never noticed it before, and had only heard Bacharach invoked as a punchline . . . suddenly, my perception changed. i've always been a big fan, partly because my mom and sister just loved him. i always felt he was unappreciated by most. some of my favorite songs were written by him. thanks for this reminder and tribute. 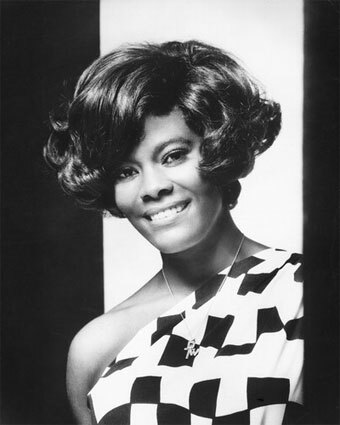 Love Bacharach/David and that whole genre of classic pop songwriting from that era, with "Dionne Warwick: Her All-Time Greatest Hits" easily one of my desert island discs. What I don't get, though, re: this piece is why things need to be a "this" or "that" proposition. Never been the case with me and don't really care. I like Bacharach AND the Ramones AND U2 -- not so keen on Vampire Weekend, but I'll stick Animal Collective in there in it's place. Yes, Bacharach's best songs stand the test of time. Though I know little about music terminology, as you were describing "Walk On By," I knew exactly what you were talking about - "yes, I LOVE when the song does that!" In my musically inarticulate way, I've sensed Bacharach as the anti-Phil Spector. They both had elaborate productions, but while Spector was trying to keep attention on himself and make you ignore the vocalists, Bacharach was trying to enhance the vocalist's presence and keep his own artistry more subtle. I wish that I had caught this post on the day that it came out but didn't, and belatedly have to agree that Bacharach had exceptional skill and taste and was (in my opinion) up there with the others that you mentioned and Jimmy Webb. And I still know the way to San Jose. (R)ated 'cause it was worthy.